ENG: Hello, guys! Monday has a good start: it rains after few weeks of 40 degrees of hotness. 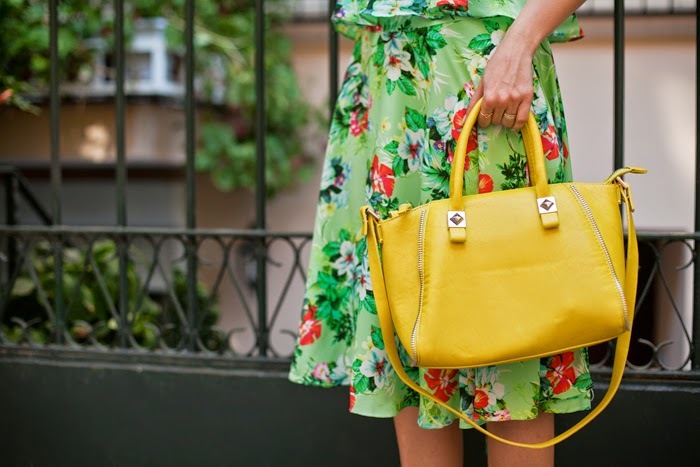 Besides, for better mood I have to add few flowers to my outfit, well, not few, but anyway you know my taste) Here are one more exciting thing: you can win $300 for spend on shopping at amazing online store BLACK FIVE, I’ve bought my yellow back there. Find out how to participate in end of post, good luck and have a lovely day! RU: Привет, мои дорогие! Понедельник начался с дождя, а это, учитывая предшествующую 40 градусную жару, определенно хороший знак! Ну, а для полного счастья мне необходим цветочный костюм, чем больше даров флоры, тем лучше. И у меня для вас очередной сюрприз: вы можете выиграть $300 на шоппинг в замечательном интернет-магазине BLACK FIVE, кстати, моя желтая сумка как раз от них. В конце поста найдете условия, всем удачи и хорошего дня! 4. Leave a comment here with your register Email. The winner will be announced on 25th Aug.
Костюмчик замечательные! Колье и сумка просто изумительные! Выглядишь волшебно! Удачного дня! Целую! Да, обязательно приму участие в конкурсе! Отличные яркие фотографии и наряд! you are a gorgeous stylish with this outfit, love it. wow. i love this outfit. so lovely on you! 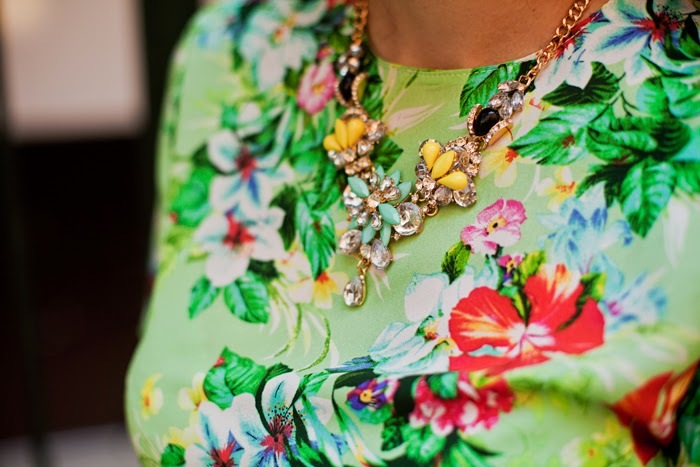 You always look amazing in floral print! <3 Fabulous skirt and blouse, a match made in heaven! You are so gorgeous. Have an amazing day! I am the new visitor to your website but the your all articles are stunned me. The fabrics that you used is mind blowing with right piece of art work with them. I am so happy to be here. Thanks for sharing these articles with us. Keep it up ! !